In 2000, TVR announced that the Griffith production was going to end. A limited edition run of 100 Special Edition (SE) cars were to be built to mark the end of production. Although still very similar to the previous 500's, the SEs have a hybrid interior using the Chimaera dashboard and Cerbera seats. Noticeably, the rear lights are different along with different door mirrors, higher powered headlights and clear indicator lenses. Some also came with 16 inch wheels and each car comes with a numbered plaque in the glove box including the build number and a Special Edition Badge on its boot. All cars also have a unique signature in the boot under the carpet. The SEs were built between 2000 and 2002, with the last Griffith registered in 2003. 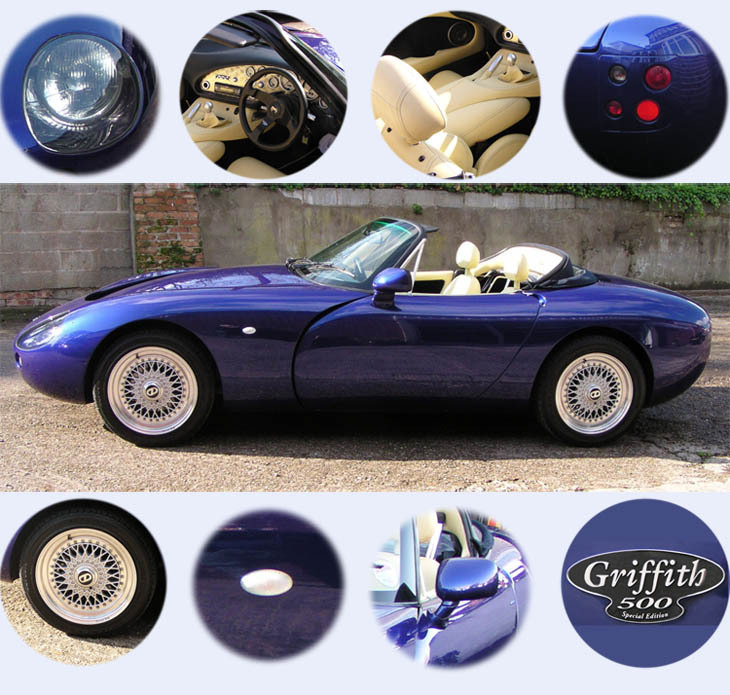 The aim of this website is to document the identities of each of the 100 Special Edition TVR Griffith 500 cars produced. This information has been compiled by Roger Thomas, with the help of Mark Deacon and Chris Thomas.